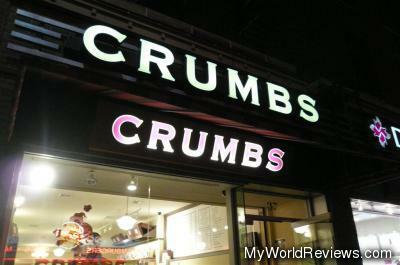 Crumbs is a bakery chain in New York City. They have an extensive selection of different flavored gourmet cupcakes, as well as other desserts. All the desserts are displayed in a bakery display. They offer a few tables and chairs where you can sit and enjoy your recently purchased dessert. I thought the price was quite reasonable for the size of the cupcake. You select your dessert and pay at the counter. This cupcake was delicious! The base was chocolatey and moist. 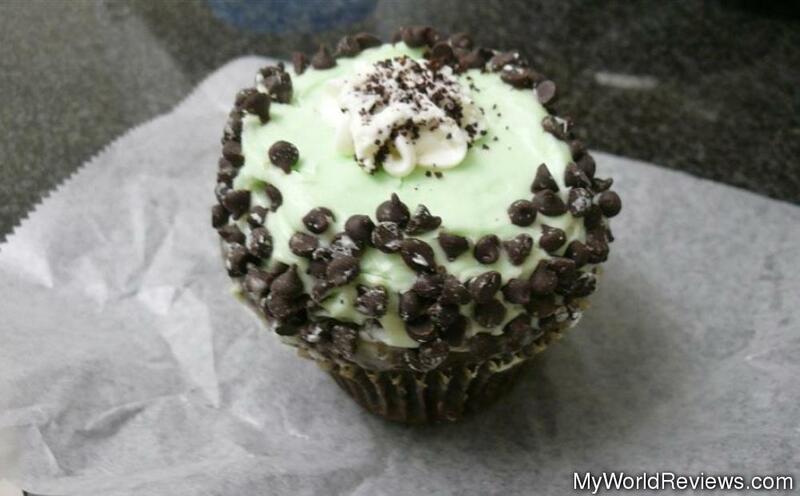 The toppings included a chocolate fudge filling, a mint icing, a bit of whipped cream, and chocolate chips. The cupcake also had a chocolate icing inside the cupcake. Crumbs offers two sizes of cupcakes. This was one of the larger ones, and it was pretty large! It was easily shared between two smaller people.